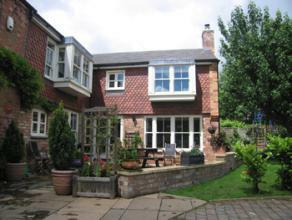 Allisons TEST House Bed & BreakfastWe are located on the edge of Leicester in the heart of the countryside. Although in a rural setting we are just minutes away from the A511 for easy access to all main routes. All ingredients for our breakfasts are locally sourced and organically grown wherever possible. Homemade jams and other preserves are served everyday. We have ample off road secure parking and a large beautiful garden where, on warm summer mornings, breakfast can be served. We are located on the edge of Leicester in the heart of the countryside. Although in a rural setting we are just minutes away from the A511 for easy access to all main routes. Situated just 2 miles from the M1 junction 23 in an easy to find location.